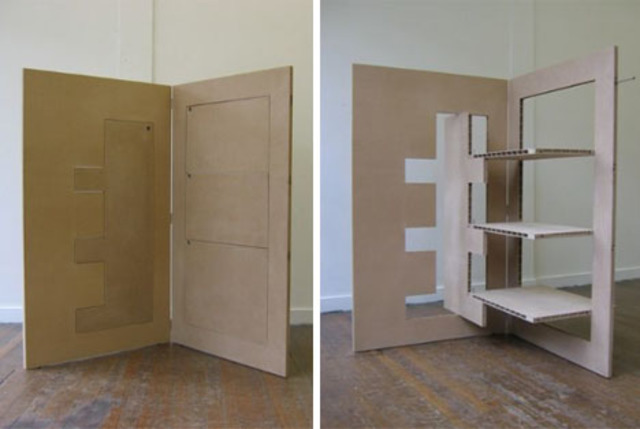 Flat pack furniture is the ultimate in space-saving design, particularly when it comes to transportation. There’s something almost magical about taking an entirely two-dimensional panel, folding out a few panels and ending up with a fully functional three-dimensional object. It’s easy to see why transforming creations like these are becoming so popular in this era of increasingly nomadic lifestyles. 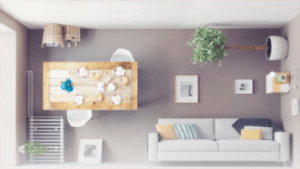 But one could argue that flat pack designs are in danger of becoming altogether too dominated by stylistic affectations and functionless trends as they grow more ubiquitous. This refreshingly pragmatic vision for flat pack furniture blends the best qualities a flat pack strategy has to offer: portability, sustainability and modularity. It’s practical, simple and functionally elegant, with no unnecessary frills. In short, it just works. Each unit in this flat pack all-in-one room collection by KapteinBolt is designed to be composed of two standard-sized plywood boards folded flat together with a hing holding them together. Selectively punched-out portions of their surfaces can then be bent into configurations that serve individual and joint purposes. They are part furniture, part spatial separator – acting as both object and wall in one. 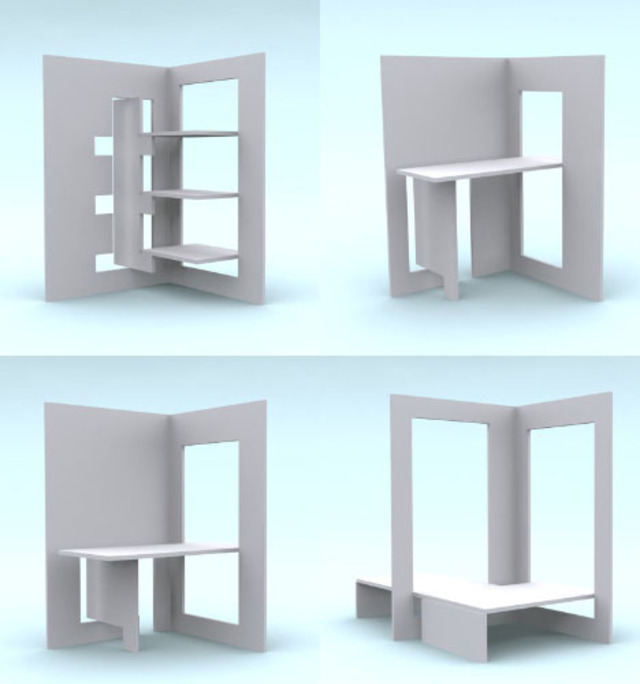 Many of the flat pack elements of these designs would work as stand-alone furniture objects within a varied interior design. 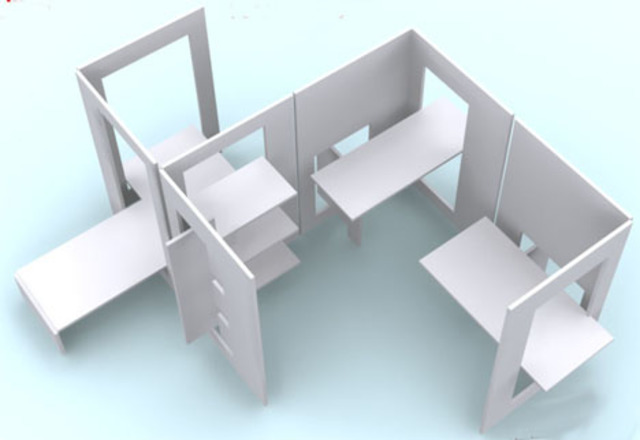 However, they are also intended to form – if desired – a unified series of arrangeable elements, a kind of miniature modular room set to fit any possible furniture need. Best of all, they are light-weight and easy to collapse and reconfigure at will.